Iryna Khovrenkov is an economist with research interests in economics of charities, applied microeconomics, public economics and tax policy. 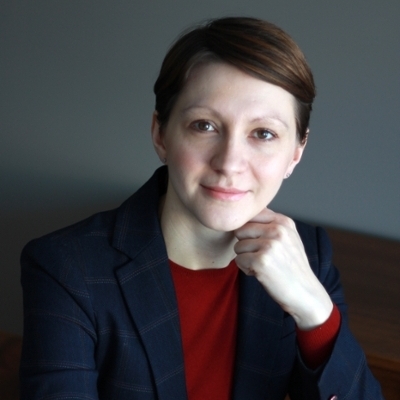 Iryna's primary research explores the role of foundations in the Canadian charitable sector including foundation giving and government policies that shape foundation operations. She also has strong interests in understanding the policy role of co-operatives and other social economy enterprises. Download Iryna Khovrenkov's abridged CV. Kryvoruchko, Iryna and Ken Rasmussen. 2014. "How Foundations Spend: Is 3.5% Asset Disbursement Rate a Good Public Policy on Giving?" In How Ottawa Spends 2013-2014, edited by G. Bruce Doern and Christopher Stoney. Montreal: McGill-Queen's University Press. Kryvoruchko, Iryna. 2015. "Russia's Flat Tax Reform: Redefining its Effects on Employment." Post-Communist Economies 27(2): 188-204. Kryvoruchko, I. (2006). “Three Equalization Alternatives”, Bulletin de Documentation, No.3, pp. 89-119. Boothe, P., and I. Kryvoruchko, (2004). “Do Federal Transfers Stabilize Regional Government Revenues? Evidence from Australia and Canada”, Journal of Public Finance and Management, 4(4): 480-495. Kryvoruchko, I. "The Role of Government Policy in Shaping Canadian Foundations". Canadian Economic Association Meetings; Association for Non-profit and Social Economy Research: June 2013. Kryvoruchko, I. "Does Foundations Giving Stimulate or Suppress Private Giving? Evidence from a Panel of Canadian Charities". Canadian Public Economics Group; Association for Research on Non-Profit and Voluntary Action: November 2012. Courses taught: JSGS 802 Public Finance, JSGS 869 PhD Reading Course - Session on "Rent-Seeking"